We have now officially launched App:IC – an app-based product which makes communicating to remote and diverse employee audiences easier than ever before. 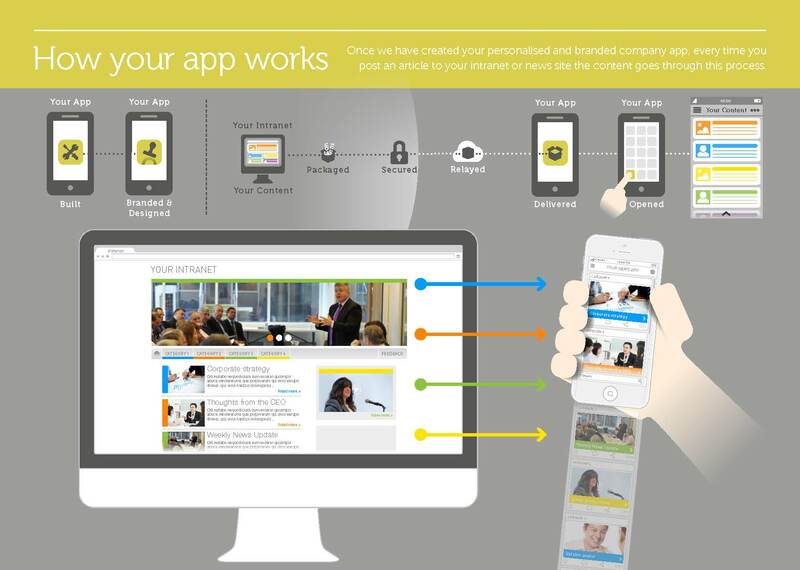 App:IC allows you to deliver news articles securely from your intranet, ESN or other news platform to a branded app on company or personal mobile devices. Rather than replacing existing channels, App:IC allows people to complement and add to their resources, so that with no additional content or extra work messages can go further. With more than 40 years’ experience in the internal communications industry, Sequel Group has produced App:IC precisely with the industry in mind – to be an ideal solution for engaging employees and reaching discrete audiences. It is already being used by leading organisations such as Nationwide – launched on 5 November; there was a 100 per cent take-up within 48 hours for their app which targeted their top senior leaders, all of whom downloaded and began using it. Technology research firm, Gartner predicts that by 2017, 50 per cent of employers will require their employees to supply their own device for work purposes, reflecting the rise in the Bring Your Own Device (BYOD) trend. The growth in the use of mobile devices to connect employees has been meteoric. In response, Sequel Group has developed a quick, simple and cost-effective way to use apps internally. “Other groups, such as senior or sales-based audiences, simply prefer the convenience and speed that apps provide – allowing them to read articles while they’re out of the office,” he adds. App:IC is secure. All content is encrypted with AES (advanced encryption standard) before leaving a network And if a higher level of security is required, App:IC can be built requiring employees to enter their company usernames and passwords before opening pages allowing even more control over who sees the content. The use of mobile for connecting to audiences will only grow in the coming years and App:IC is an exciting new part of this.